Move over, scenic views and mirror outfit selfies. Sometimes, the floor is all you'll ever need to finally get an OOTD shot taken. All it takes is a little imagination, the guts to lie down or sit on the floor, and a friendly photographer to snap the photo! 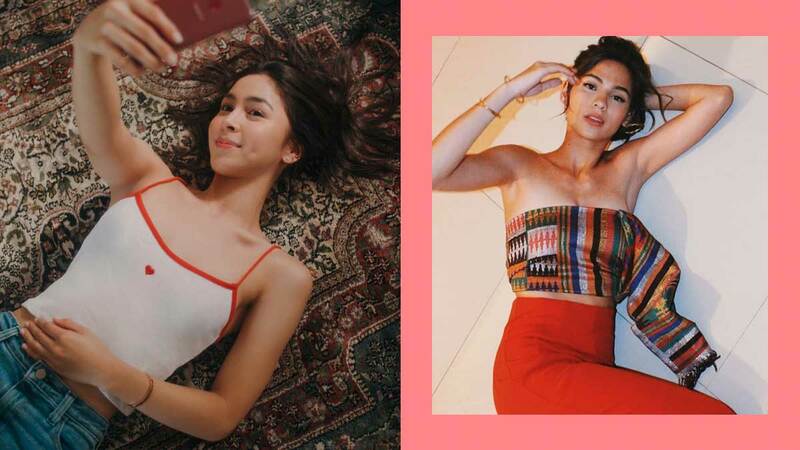 As long as you aren't allergic to the possible microscopic dust particles on the carpet, then, by all means, take a selfie a la Julia Barretto. Wear your cutest top ever and don't forget to check if your hair looks nice. When you're a superstar with a tight schedule like hers, you need the ultimate skill of multitasking: Taking a phone call, looking fabulous, and dropping down on the floor when someone suggests taking a photo of your outfit. Honestly, this technique is quite difficult to pull off. One wrong move and you might end up looking like you're ~*kinda*~ lost in life (especially because of the unkempt hair and shoes-less look). Key points to note: Find a floor in a bright and happy color, match it with a fun printed dress, go for disheveled hair, and don't forget the shades. Is everything okay? Does Jasmine look fabulous? Yes, she does. And of course, we can't help but applaud her very Filipino look, which happens to be a native scarf that she wore as a top. Solenn always finds ways to showcase her creative soul. Dressed in an outfit that's on point and matchy-matchy with her living room, she chose to take her OOTD sitting comfortably on a chic carpet. How can we not include this? Technically, a field of dry grass isn't a floor per se but we're considering it an outdoor execution. And what could be a better way to flaunt your outfit's unexpected silhouette than with an unexpected backdrop? Plus points for the thoughtful oranges thrown into the picture. If you badly need an outfit shot taken, and there just isn't a photogenic place in sight, or there are probably so many people around to ruin your photo, be a go-getter like Yassi. Find a quiet corner, drop down, and do your thing. Looking oh-so-comfy in her little nook, Juliana's floor photo is totally #goals. It's the type of photo that makes us want to know where she is and have a peek at that scenic place, too. Ahhh, must be comfy lying down and not caring about the rest of the world! And if the goal is to show how squeaky clean the under soles of your shoes are, then this is the best pose to copy.